As the digital landscape expands, online reviews can make or break a small business. Getting an email saying you’ve received a bad review is not a great way to start the day, but hope isn’t lost! 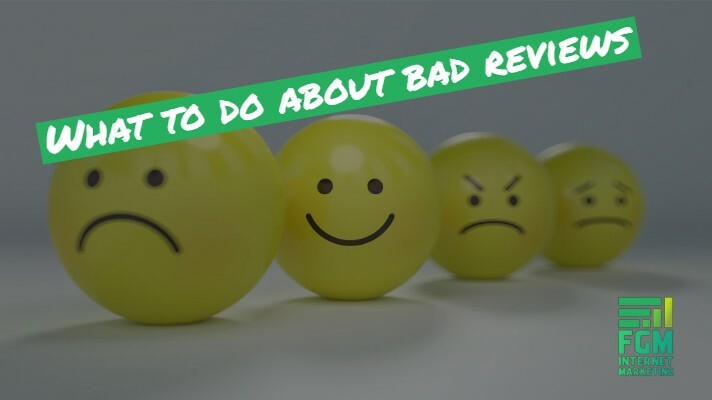 Follow these steps if your business receives a bad review online. The first step is to take a deep breath! 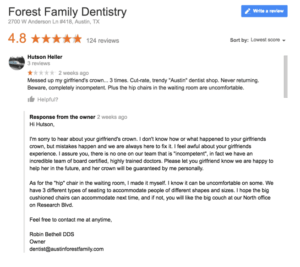 Getting a negative review is going to hurt, especially if you’re a small business owner. It’s tough not to take it personally, but reacting to the review when you’re all fired up is never going to end well. Take a step back, and use this as a learning experience. This person might be highlighting a problem within your business that you weren’t aware of. Maybe ask someone else to look at it and get their opinion. This is where your response makes all the difference. If it is a legitimate complaint, it’s your job to address the internal issues that caused the complaint. Speak to an employee about their behavior, or take disciplinary action if called for. Investigate your product and make improvements. Examine your customer service process and make changes. The response should acknowledge their complaint and accept responsibility if it really is a problem within your control. Tell them the steps you’ve take to make sure the issue isn’t repeated. Ask them to contact you so that you can resolve the issue with a refund, exchange, whatever is appropriate. If the complaint falls under any of the illegitimate reviews outlined above, you still need to respond. Do so professionally, without anger, and state the facts as you are aware of them. The person could have done it maliciously, or they could’ve have made a mistake like assuming your business was something else. If it was an honest mistake, you don’t want to respond with anger. It can be a good idea to get a third party to write your responses for you. That ensures that the response is professional and not emotional. FGM Internet Marketing provides Online Review Management and review response writing for our clients. If you’re dealing with an illegitimate review, follow the response process above. The next step is to report the review. 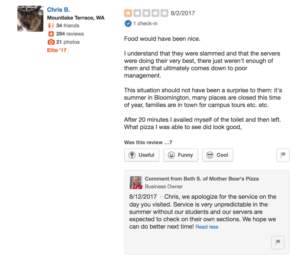 Google, Facebook, Yelp, and other review sites allow you to report or flag a review that you think should be removed. They will ask for your reason for flagging the review. The review will be investigated and either removed or remain. You’ll likely never speak to a person at Google, Facebook, or Yelp about this process, and you might not be notified if the review is removed. Just know that at this point, you’ve done all you can do. Here are some real life examples of responses to bad reviews. Notice the personal tone used in each. Make sure to come off as human as humans relate better to other humans.